With all the information available online about managing your finances, with the endless tools, mixed in with the recommendations of financial planners, it can all be overwhelming. MoneyLion is changing this for the middle class. It’s a personal mobile finance platform that empowers you to make informed borrowing, investment, and saving decisions through its easy-to-use app. 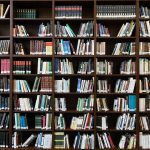 The data driven company keeps you educated in the changing financial landscape. Founded in 2013, the company is already being used by over 1.5M customers and scaling rapidly. AlleyWatch had a chance to chat with CEO and cofounder Diwakar Choubey to discuss the company, its future plans, and its latest round of funding. We are pleased to share that we recently secured $42 million in Series B funding. This funding round was led by our existing investors, Edison Partners, FinTech Collective, Grupo SURA, as well as new investors Greenspring Associates and Danhua Capital. 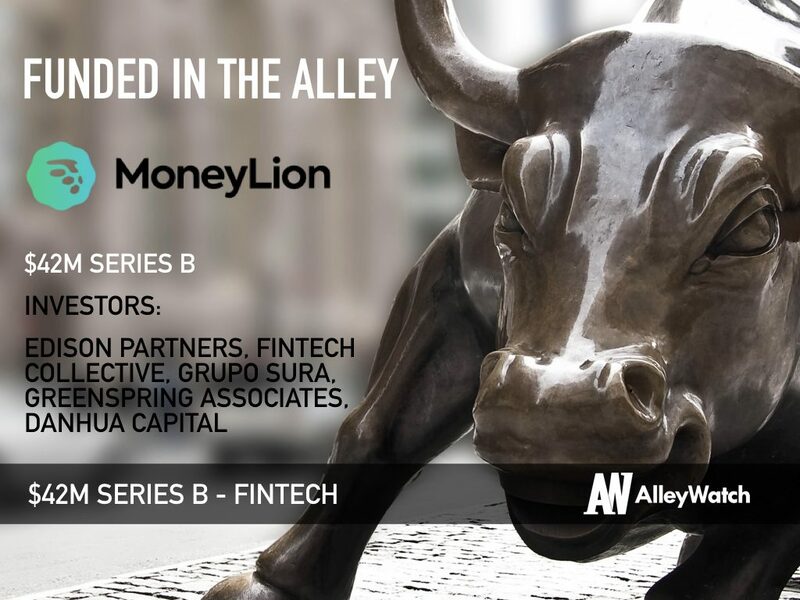 All told, MoneyLion has raised $67 million in equity financing. 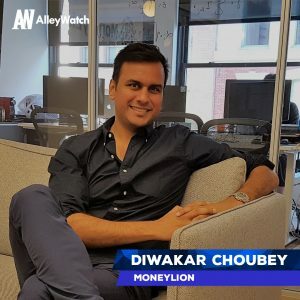 MoneyLion is the digital personal finance platform designed to fuel the financial success of the middle class through better borrowing, savings and investing products. With our free mobile app, our 1.5+ million customers can take personal loans, monitor their credit, track bank balances, earn rewards, and receive personalized advice to optimize their daily spending and saving habits based on their spending patterns and credit profile. We have provided over 250,000 personal loans to our customers to help them manage unexpected expenses and achieve their financial goals. We set out in 2013 with the mission to empower everyday Americans to take control of their financial lives with uniquely personalized financial products. We’re bringing private banking-like features and services to the middle class that address their toughest financial challenges, like fluctuating monthly income and expenses, access to affordable credit, and improving savings. Remember, 75% of Americans don’t have $2,000 in savings, our goal is to play a small part in educating and enabling our users to proactively thinking about saving for future goals. Because we are a data-driven company, we use the power of aggregate data to build personalized products that are otherwise reserved for the ultra-rich in our society. Today, simple things like a personalized financial plan are limited to folks who have private bankers. Our emphasis on data changes that. Our users face financial challenges such as income and expense volatility, lack of access to affordable credit, and the inability to improve savings – and we bring to bear expertise in machine learning, behavioral economics, and financial services to help overcome these obstacles. For example, our newest product, MoneyLion Plus, is a subscription-based offering that unlocks low-cost loans, automated savings, a slew of PFM tools, and a fully managed investment account, so members can save for the future while even while navigating unexpected expenses in the short-term. MoneyLion Plus is specifically designed for consumers who would typically pay significantly more than a 5.99% APR to borrow. But we’ve been able to unlock these low rates for this consumer segment through an innovative fee structure. Members pay a $29/month subscription fee, but earn a $1 cashback bonus for every day they log into the MoneyLion app. It enables our customers to borrow today while saving for tomorrow and is our way of encouraging financial engagement and responsibility. We are focused on providing solutions to the financial middle class – specifically to the 138 million Americans that self identify as struggling with personal finances. This round of funding enables us to continue to innovate and develop new credit, investing, and insurance financial products and services. 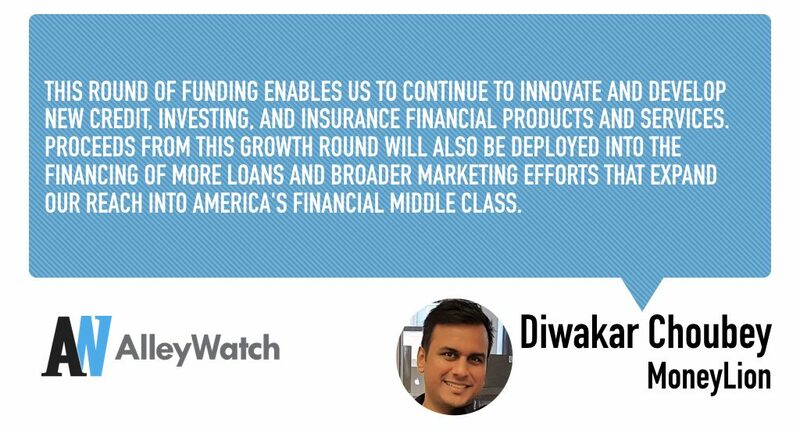 Proceeds from this growth round will also be deployed into the financing of more loans and broader marketing efforts that expand our reach into America’s financial middle class. New entrants should focus on building product that consumers love and engage with. If your product has built-in engagement and retention, the funding will eventually come. We’re laser focused on scaling and growing the business as well as adding more features in the near-term. We love the Breslin and the Ace Hotel in NoMad as well as Union Fare in the Flatiron for after-work team get-togethers. The rooftop at Eataly is a summer-time staff favorite too. That said, the “MoneyLion Bar” will be the talk of the town inside our offices when it’s ready.